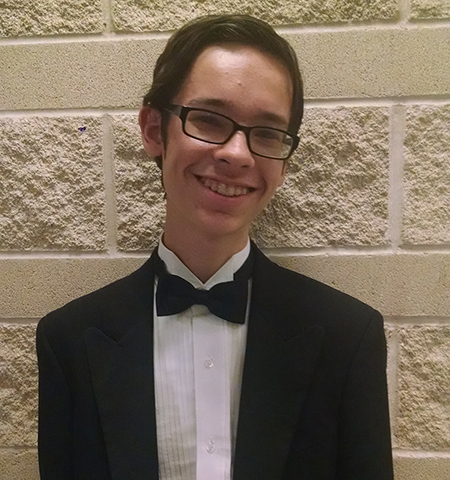 Congratulations to Quinton Porter, junior at Timber Creek High School in Fort Worth, TX, for being selected as the winner of the 2017 TBA Student Melody Competition. Mr. Porter began studying piano at the age of 10, and started playing oboe in the 6th grade. As his interest in music grew, Quinton also learned to play the guitar, saxophone, flute, clarinet, and trombone. He currently doubles on oboe and English horn in his high school band, participates in the youth group at his church, and is an active member of the Boy Scouts of America. 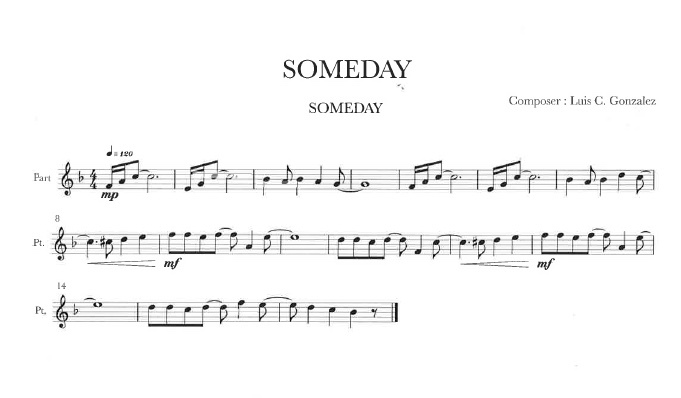 Quinton’s winning melody, entitled “Devils Perspective”, will be used as thematic material for a new wind ensemble piece composed by Grammy nominated composer Rick DeJonge. 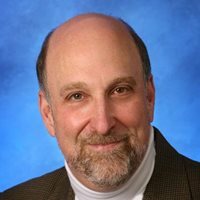 The resulting piece will be premiered by the United States Air Force Band of the West on Thursday, July 20 at 7:30 pm in the Lila Cockrell Theatre during the Texas Bandmasters Annual Convention. As the composer of the selected melody, Quinton, a parent and his band director will be flown to San Antonio and given accommodations at the Marriott Riverwalk to attend this premiere courtesy of the KHS America Academic Alliance. The 2017 Student Melody Competition received 89 entries submitted by 6th - 12th grade students from across the state of Texas. A panel comprised of KHS America Academic Alliance Musicians, Educators, Composers and Industry Professionals initially narrowed the field to four finalists before selecting the winning melody. The three runner-up melodies will be featured on the Jupiter Website and Jupiter Facebook page, with one being posted each week starting on Monday, May 8th and continuing through Monday, May 22nd. 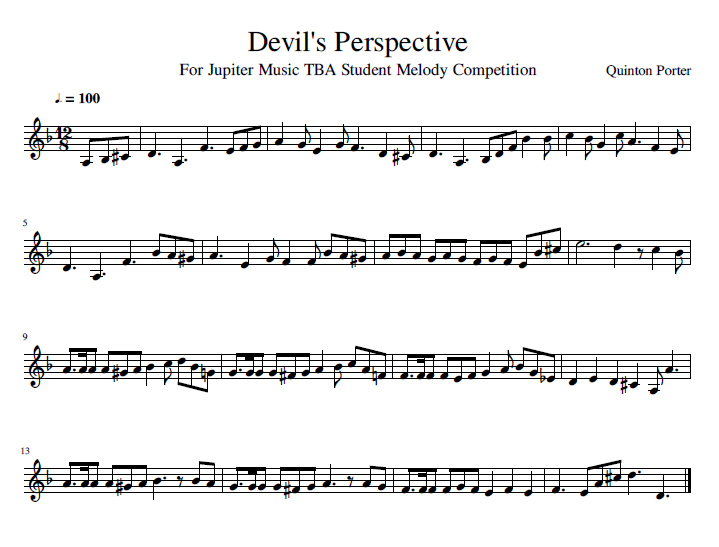 View Devil's Perspective Melody in PDF form. Download the full score and parts for the Devil's Perspective Melody. Download the mp3 for Devil's Perspective Melody. 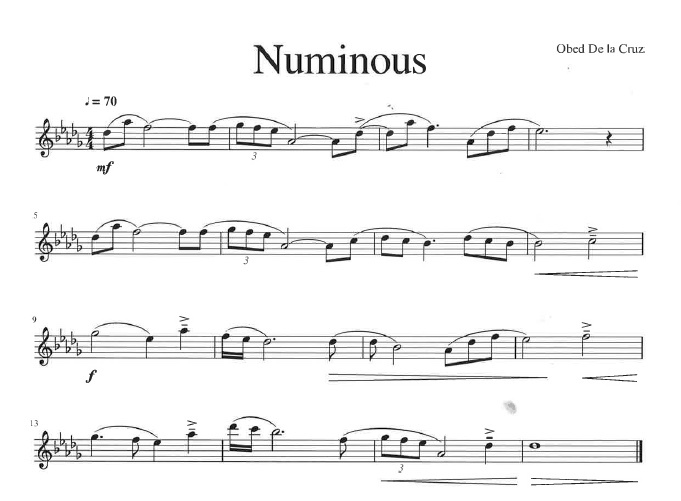 View Numinous in PDF form. 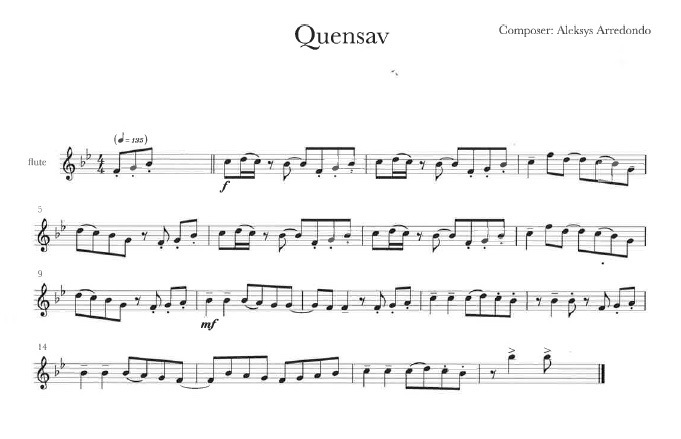 View Quensav in PDF form.